It’s all about the experience. From bootstrapped start-ups to the largest enterprises, companies across digital commerce are seeking to gain a competitive edge through a better customer experience. But, as fast as companies can chart a new course, the destination itself has a nasty habit of disappearing over the horizon. An intuitive user experience and slick interface is rarely a point of difference. Even a genuinely seamless omni-channel proposition, as unusual as it is, may not suffice, thanks to the bar-raising efforts of Amazon, Airbnb, Uber and others. Innovation and digital transformation in one sector swiftly become the benchmark in another. Big players set standards, but consumers set expectations, and these are far ahead of many companies’ capabilities to deliver. And while consumer expectations are hard to measure, behaviour is not. Customer behaviour and preferences are the key drivers of digital transformation for 55% of companies. Bounce rates, abandoned carts, open and click-through rates, Net Promoter Scores, the metrics and pain points are visible to every digital marketer and merchandiser. Little wonder that customer behaviour and preferences are the key drivers of digital transformation for 55% of companies. The challenge is that fickle consumers are increasingly expecting that the digital experience is also personalised. Personalisation is swiftly becoming a defining feature of a modern user experience, and getting it right brings its own rewards: brands that personalise increase revenues by two to three times their non-personalising competitors. Personalisation is the pursuit of individualised relevance, and in that sense, it’s nothing new. Personas, customer journeys, segmentation, rules and automation are all well-trodden routes used by marketers to find commonalities and create a (somewhat) tailored experience, and the consequent boost in engagement and revenue is well-established. But these techniques simply won’t scale. As the customer base grows, they don’t adequately scale up: an increasingly large and diverse customer base is ill-served by broad segments and manually implemented rules. And they don’t scale down: for any given individual, personalisation is partial, inaccurate or wholly missing. Segments of one (individualised experiences that draw on profile and behavioural data, but are also shaped by the profiles and actions of others) can never be delivered at scale by humans. That’s when marketers and merchandisers must turn to artificial intelligence (AI). AI is a broad and rapidly evolving field of computer science. But without context, the term AI is meaningless. It might mean the development of technology that could herald the salvation (or destruction) of mankind. Or it might be a better way to sort garbage, or have fun with chatbots. To discover the transformative power of AI for digital commerce, we need to zero in on the relevant capabilities. AI is the recreation of cognitive functions in computers; it enables machines to perform tasks like humans, and perhaps even better than humans. It’s long been a source of fascination in popular culture, giving rise to Hal 9000, C-3PO, Agent Smith from The Matrix and Skynet, among others. In the real world, scientists and futurologists contemplate the technological singularity, in which a super-intelligence emerges with untold human consequences. While undoubtedly fascinating, this is the realm of generalised AI, and is definitely not here now. Professionals in many industries are intensely interested in the specifics of what AI can do today, and how can it help. They’re considering the impact of applied AI, in which computers are used to address a particular problem, extracting and utilising patterns found in large volumes of data. Of all AI’s subfields, machine learning is attracting the most attention. Your smartphone is buzzing with the fruits of the last three to five years’ AI and machine learning research: Siri, Google Now, Alexa or Cortana, music and news recommendations, social feeds, speech, text and music recognition and many more. 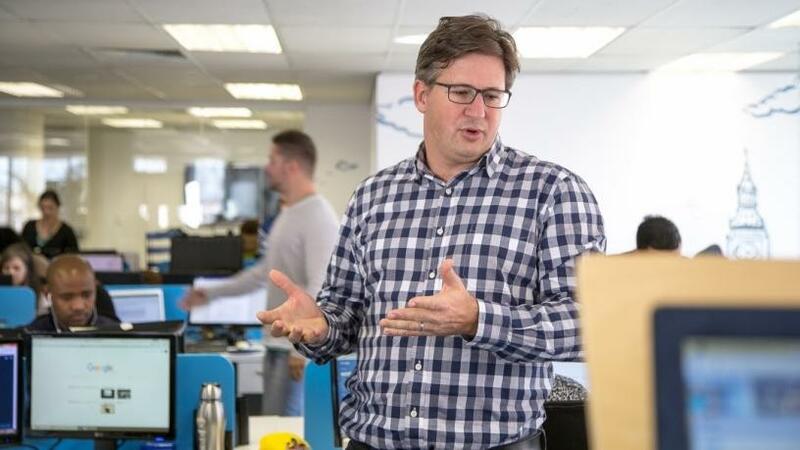 Only humans can understand the full context of the customer journey and decide how to design or re-engineer this journey, says Nick Durrant, MD of Bluegrass Digital. There are valuable applications of the technology in many other spheres, too, from fraud detection to medical diagnosis. Machine learning is itself an umbrella term for different types of learning, and can be accomplished using different techniques. For the uninitiated, this is a minefield of jargon, with vendors promising to synthesise vast pools of customer data using “black box” or opaque AI technology. This has led to a perception that all marketing teams should “have AI” and that AI is the magic bullet, resolving all pain points and unlocking a unified personalised customer experience. As far ahead as we can predict, AI and machine learning can never be that panacea. Furthermore, over the same time period, and in contrast to predictions for roles in many industries, AI will not take the place of marketers and merchandisers themselves (although it is already lending new value to analytical and strategic marketing skills). The reason? While AI is stupendously good at making sense of data, it struggles with context. Only humans, preferably experienced, well-informed humans, can understand the full context of their customer journeys and decide how to design or re-engineer them. AI gives these professionals the means to do this better, and then maximise relevance through real-time customisation of the user experience. By Nicholas Durrant, MD of Bluegrass Digital. Do you need help with your digital transformation journey? We help our clients drive business growth through insight-led user experiences, innovation and technology – built to scale. Contact us on hello@bluegrassdigital.com.